This dynamic bay is named after Mathias S. Cook whose log cabin eventually became known as the Lake View House that stood on the shores of the bay. Cooks Bay is located on the west side of the lake between Priests Bay and Emerald Lake (Seton Channel). The shoreline that surrounds Cooks Bay is located in the city of Mound. Surfside Park, a public beach, provides public boat access to the bay. 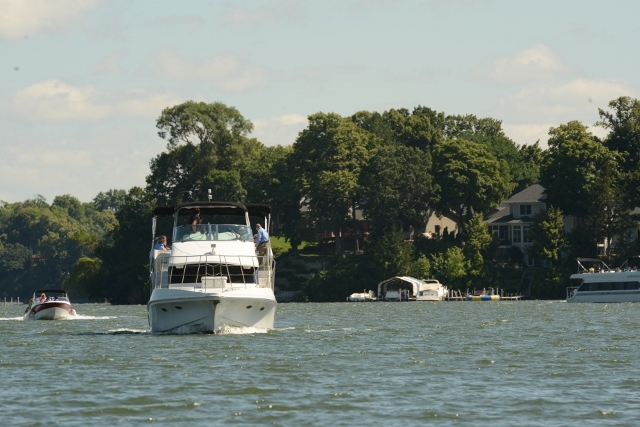 Cooks Bay is home to the Al & Alma’s Supper Club and Charter Cruises.